The repetitive rhythms of Joaquim Pinto’s daily routines provide the film with a feeling of serenity that stands in contrast to the man’s underlying anxiety. The ostensible impetus for Joaquim Pinto’s What Now? Remind Me came in November 2011. That winter, the filmmaker went to Madrid to begin a year-long experimental regimen to treat his HIV. This philosophical documentary charts his life over that time, capturing the painful side effects of both the disease and its treatment, as well as his day-to-day life with his partner, Nuno, and their four dogs. Pinto, we learn, has undergone a number of treatments throughout his life, first in the ‘90s when he was first diagnosed with HIV, and then again in 2001 and 2004. So while Pinto’s 2011 treatment gives What Now? an underlying narrative, it’s only one of the doc’s many preoccupations. As it delves into Pinto’s biography and engages with large philosophical and religious questions, What Now? ultimately becomes less a chronicle about one man’s attempt to defeat an illness than it does one about living with disease generally, particularly one that modern medicine can keep at bay but not completely destroy. 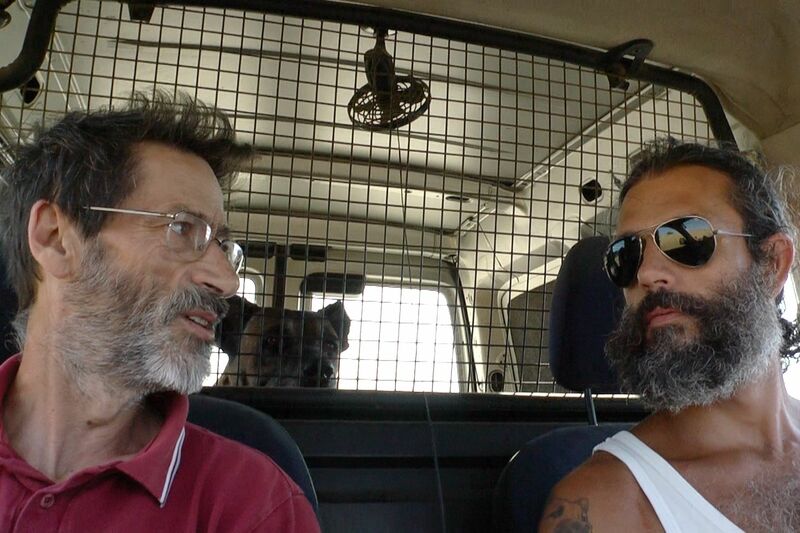 The doc largely consists of Pinto filming the mundanities of his daily life and Nuno as he works on their farm. Pinto sometimes speaks directly to the camera, using it as a diary, but for the most part we access his thoughts and feelings through voiceover. The topics that he covers in this style is expansive, from his personal history, to his embracing of Christianity, to his philosophical reflections on time, humanity, and nature. At almost three hours, What Now? certainly tests the limits of how much insight can be gained from such repeated ruminations. Nevertheless, the film’s core isn’t only remarkably powerful, but poetically portrayed, and its length is a direct and justified consequence of Pinto’s unwavering commitment to disclosing the most intimate parts of his life. Also, the repetitive rhythms of Pinto’s daily routines provide the film with a feeling of serenity that stands in contrast to the man’s underlying anxiety: his reckoning with the possibility of an imminent and untimely death. Even the more stressful cycles of Pinto’s treatment—the trips to the hospital for blood analyses, his daily medication—are less stressful than one might expect. This is in part because they’re portrayed as just another part of Pinto’s regular life, but also because he seems to have been living with the prospect of death for so long that his experience of that reality is now defined less by fear than by a search for peace and understanding. That isn’t to say that death doesn’t hang over nearly every scene in What Now? When the film begins, Pinto apologizes for his voice, explaining that his HIV treatment ruined his teeth and he still has not gotten used to speaking with his new dentures. And as the film progresses, we watch Pinto confront both his physical decline and fear about a deeper mental and spiritual deterioration. “I’m afraid that I’ll lose so much, my senses, my logic, that I will be incapable of deciding anything at all,” he tells the camera. “That I will lose the notion that I exist.” Pinto’s decline in health, though, while evident, bears the trait of also being indefinitely prolonged; for him, death is an encroaching shadow that, since 1997, has threatened to overtake him, been held at bay, and then loomed again with each failed treatment. And it might continue to do so for the foreseeable future. With that in mind, the most tragic aspect of What Now? is how, by the end, Pinto appears more resigned than when the film began: The doc starts as a mix of memoir, diary, and documentary, but by the end it has the distinct feeling of a last will and testimony.